We started the Hult Founders Lab (HFL) as a simple yet ambitious mission while we were undergraduate candidates at Hult International Business School’s campus in London, United Kingdom. The programme, now a highly popular value-adding component of the curriculum, provides an avenue and platform for Hult candidates and their partners to incubate their businesses while contributing towards a practical approach to business education and fosters collaboration between business and technical domains. It has been a year since we began the programme and since then, we have grown to work with many key players in the startup scene in London. The HFL programme has incubated more than 35 businesses since its inception. Some of which have graduated and embarked on their growth and expansion trajectories. These businesses operate in a variety of domains ranging from life-changing consumer technology to fashion to EdTech. Whereas there have been huge strides taken to launch this programme, we will attempt to highlight some. Our ties with entrepreneurship societies in universities across London have helped lay the groundwork for collaborations and tackle the problem of resource gaps that all our members face. We have established connections with Europe’s largest entrepreneurship society — Oxford Entrepreneurs — and have also held joint conversations with the leaders of entrepreneurship societies at King’s College London and the School of Oriental and African Studies, University of London. Mateusz Ciasnocha, a Hult Alumnus, who is now the Vice-President of Oxford Entrepreneurs at the University of Oxford, mentioned that in his time pursuing his bachelor’s degree at Hult, he has seen his peers with immense enterprising potential but lacked a forum for structured support. These inter-university partnerships provide all our members with access to shared talent and expertise vital to the development of their businesses. Such a collaboration has seen the launch of one of the successful businesses from Hult graduates — Tec Avenue. Gazi Korkmaz is a Hult Alumnus and the founder of Tec Avenue. Together with his team of postgraduates from the University of Cambridge, University College London, and an ex-CEO of a multi-billion dollar Swiss company, they formed an innovative technology start-up that is changing the way people charge their mobile devices in the future — wirelessly and at a distance. Our network goes beyond universities to include corporate and startup leaders to create a more holistic environment for those in the HFL programme and our partners. We are now proud to announce that the Boston Consulting Group Digital Ventures (BCG DV) and Virgin StartUp will strengthen their relationship and support for the HFL. In a first-of-its-kind firm, BCG DV’s knowledge and expertise have helped business, especially large corporations, to invent, build, scale, and invest in startups to solve critical problems. As demonstrated in one of our recent fireside interactions, the unique set up of teams at BCG DV across all levels bring a distinct yet remarkable set of capabilities to create and grow disruptive digital products and platforms. Similarly, our partnership with Virgin StartUp in the United Kingdom has enabled the daring amongst us to grow and scale their businesses. Virgin StartUp is a not-for-profit company under the Virgin Group which provides government-backed startup loans and hand-picked business mentoring for those in the programme. Paul Adams, who is Head of Education at Virgin StartUp, sits on the advisory board for the HFL and has interacted with our startup founders during their periodic appraisals. 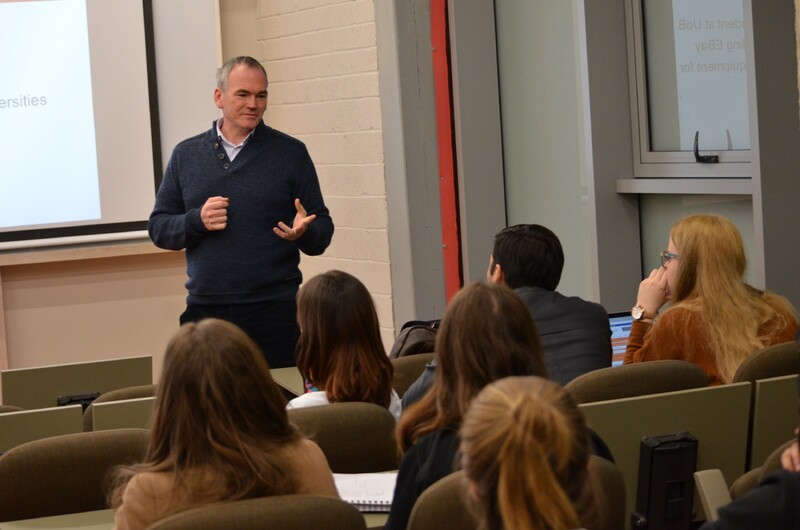 Paul Adams, Head of Education at Virgin StartUp, conducting an interactive course for HFL at the Hult International Business School undergraduate campus in London. Many leaders like Paul Adams come together to form the mentor corps in the HFL programme. One stellar example is Alex Moss who is the founder and CEO of Canaria — a small team that produces non-invasive and non-obstructive vital signs monitoring devices and systems which have received top accolades from NASA. Our proximity to the range of startup incubators and accelerators in London has also empowered our business founders to exploit the ever-changing opportunities and learn about the different growth tracks at their disposal. For instance, our founders have interacted with executives in Startupbootcamp and the Rainmaking Loft to discuss growth tracks to consider for their businesses. Besides visiting co-working spaces around London, our founders also have access to General Assembly and the Google Campus where they are encouraged to use the space, attend events and classes to equip them with the necessary skills to take their business to the next level. 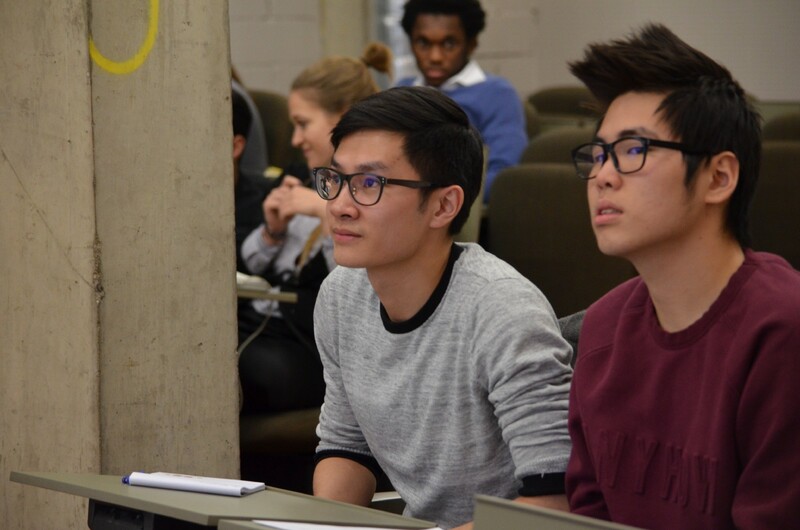 (From left, in foreground) Jonathan Hu and Dan Evans Ngo in attendance at one of the fireside seminars organized by the Hult Founders Lab. We have also sponsored a delegation of our founders to startup conferences in and around the country to expand our reach. In March 2017, we attended the highly successful START Summit in St. Gallen, Switzerland. The conference had over 1500 attendees ranging from students, founders, and investors. Our delegates also had the opportunity to reach out to Europe-headquartered incubators, accelerators, and like-minded founders who were participating. The event also saw some of our delegates participate in an impromptu pitch to investors. Josue and his team from Pillar Education took up the challenge and concluded the trip with conversations with interested investors. 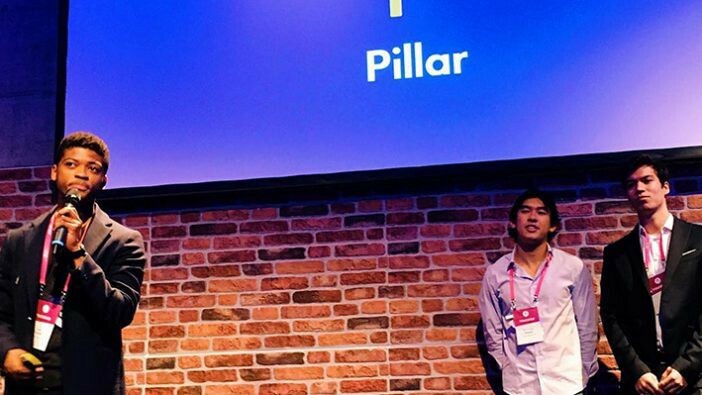 (From left) Josue Akobeto, Benjamin Fischler, and Lenny Mai from Pillar Education pitching to investors at START Summit 2017 in St. Gallen, Switzerland. 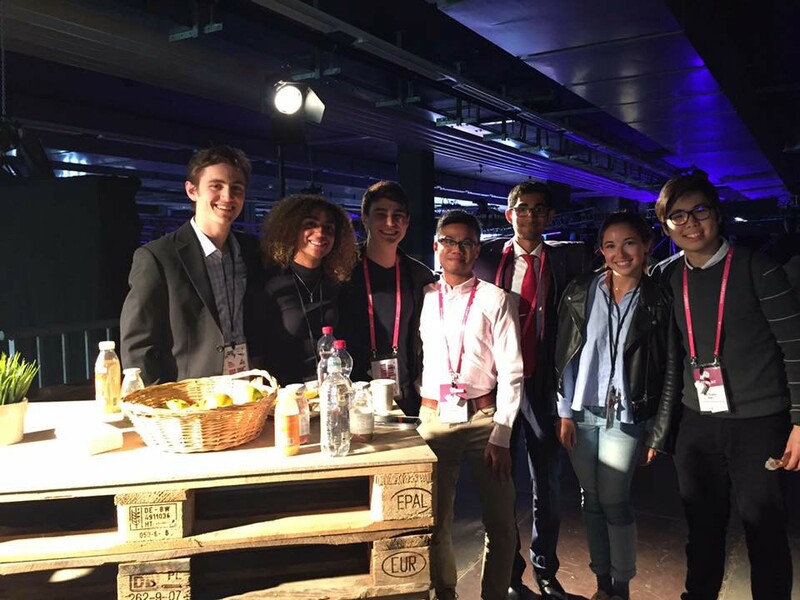 (From left) Ryan Jones, Alex Welch, Sebastian Azcona, Sarveen Chester, Soyeb Shaikh, Madie White, and Dan Evans Ngo at START Summit 2017 in St. Gallen, Switzerland. Alex Welch, a Hult undergraduate candidate in the HFL programme, founded Impact Farm—a sustainable vertical farming solution for post-aid disaster relief. HFL invites thought and business leaders from large corporations and startups for regular workshops and weekly fireside chats to share their insights on what’s on the horizon and roadmaps to exploit these opportunities. 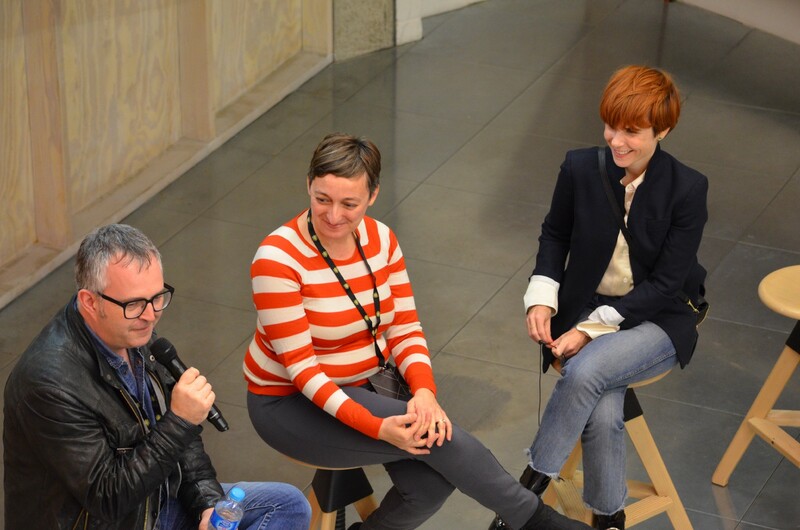 For instance, the Career Services department together with the HFL hosted senior editors of TechCrunch UK, Mike Butcher, and Ingrid Lunden, for a fireside chat as part of the Global Entrepreneurship Week 2016 in London. HFL businesses founders were moreover given the opportunity to attend the TechCrunch Disrupt 2016 conference at a high rebate. (From left) Mike Butcher and Ingrid Lunden, editor-at-large and writers at TechCrunch. As part of the next stage of our growth, we will open the programme to candidates enrolled in the post-graduate programme at the London campus, and expand to the next city campus in our Hult global network: San Francisco. The geographic spread of Hult Business School’s campuses helps creates opportunities beyond borders. Our international student and faculty community of over 123 nationalities represented and 88 languages spoken present unprecedented opportunities for launching and scaling businesses which transcend borders to create a more global, inclusive, and encouraging a community of enterprising business leaders. If you are looking to partner with us at the Hult Founders Lab, — whether you are an accelerator, incubator, investor, mentor, entrepreneurship society — we would like to hear from you. Please feel free to reach us at hultfounderslab@hult.edu, and we will respond to you as soon as we can to discuss any opportunities for the coming programme schedule.